Between 00:01 hr BST Monday 23 April and 23:59 hr BST Tuesday 8 May 2018 (the 'Promotional Period') Eligible Participants will receive 50% Avios bonus upon any Purchase or Gift Avios transaction. Eligible Participants may Gift Avios (purchase for someone else) during the promotional period, provided that the recipient holds or opens a British Airways Executive Club account and the recipient's BAEC membership number is entered at the time of purchase. 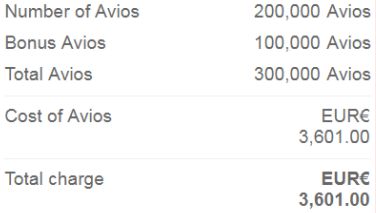 Members can receive up to 200,000 gifted Avios. The recipient will receive 50% bonus Avios.